NJPW held a press conference earlier today to announce the matches for MSG. 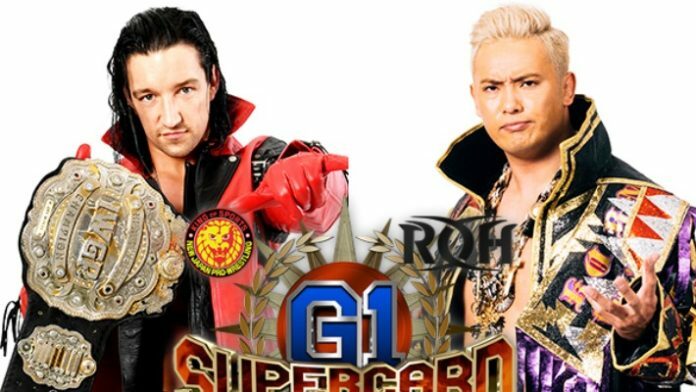 New Japan Pro Wrestling released the full lineup of matches for the G1 Supercard in Madison Square Garden today. The event will take place the night before WrestleMania on April 6th, 2019. Several new matches were added to the G1 Supercard, including an IWGP Intercontinental championship match between Tetsuya Naito and Kota Ibushi. Two teams, EVIL & SANADA and the Briscoes, were added to the double tag team title match as well. The G1 Supercard from MSG will be available live to subscribers of either New Japan World or Honor Club. A total of 10 championships will be the line! Previous articleWWE Raw Preview (3/25/19): Will Roman Reigns Accept Drew McIntyre’s Challenge?